Karbonn has launched a new smartphone Aura Note 2 in India priced at Rs. 6,490. The device comes in two color variants – Coffee-Champagne and Black-Champagne color and is equipped with a fashion-centric app that uses AI-based technology to find matching apparel from photos. The AI engine of the app automatically recognizes the print, pattern and colour of the outfit to give relevant results/choices aggregated. 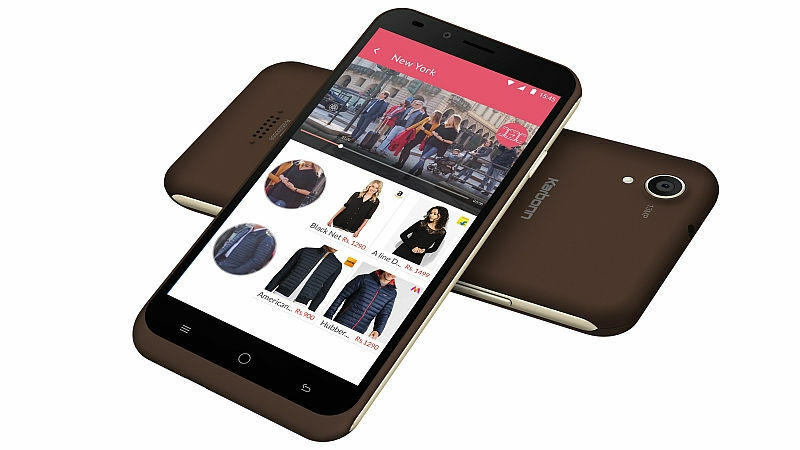 It also allows users to compare prices across various e-commerce portals and pick up the best deal available on outfits and accessories of their choice. In terms of specification, the dual-SIM Karbonn Aura Note 2 smartphone comes with a 5.5-inch HD display with a resolution of 1280×720 pixels. It is powered by a 1.25GHz quad-core SoC, coupled with 2GB of RAM and 16GB of inbuilt storage capacity. The Storage can further be further extended upto 32GB using a microSD card. For the optics, a 13-megapixel auto-focus camera with LED flash on the back and a 5-megapixel fixed-focus selfie camera on the front are featured on this device. On the connectivity options, Karbonn Aura Note 2 comes with all the basic features such as 4G VoLTE, Wi-Fi, GPS, Bluetooth, USB OTG, and FM radio. Also, it has accelerometer, ambient light sensor, and proximity sensor. It is backed by a 2900mAh battery and runs on the Android Nougat OS.